'BDAH' was formed in 1961 and now covers Bristol, Somerset, Gloucestershire, Wiltshire and Monmouthshire. 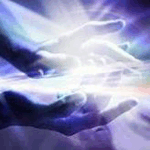 The main aims and objectives of the BDAH are to unite all healers in the area; to promote the study and practice of the art and science of Spiritual Healing; and to refer a patient needing healing to a suitable healer in their area. The DCHA is committed to providing Healing to those in need irrespective of colour, race or creed; to implementing the full training of Healers; to implementing a strict and safe code of conduct, ethics and practice; and to ensure that all approved Healers are competent and insured. 'DHWSHA' was founded in 1982 and is a registered Charity with its own constitution. The objects are "to serve the public good by the due promotion of the study and practice of the art and science of spiritual healing in the counties of Dorset, Hampshire and Wiltshire and the surrounding district". These are achieved through registered approved healers, working individually or in groups, to a mandatory code of conduct. This group was started by the late Pat Crocker over thirty years ago. After Pat died in 2007, a number of dedicated healers joined together to continue this healing group which is now run by committee. All Healers are fully Registered and insured. The Lancashire & District Healing Association was formed in the seaside resort of Southport in the early 1950s by Mrs Winnie Lord to enable like-minded people to offer their healing and spiritual gifts to mankind, but without the dogma of religion. The LDHA uses nothing other than the spiritual power of loving and caring. The LDHA is a non-religious, non-profit making, multi-denominational organization of spiritual healers, who offer their services as a therapy – complimentary to medical practice. It is healing through the power of love, spiritual help, and is simple and non-invasive. The International Healing Fellowship was established in 2004 by a group of people living in East Anglia. Its development was based on two ideas: to act as an umbrella association for schools of traditional healing, teachings and study; and to provide a 'home' for those who had studied and who practice in the field, both in the UK and Europe. We have a dedicated team of 8 qualified healers. We all play our part in deciding how the group should run, We like to feel that we operate on a joyful, loving vibration that impacts on our clients. Clients give us voluntary donations for the healing to cover the room hire. Any funds left at our year end are given to local Charity. The Redbridge Healing Centre provides multi-denominational spiritual healing (no religious service involved) at the Redbridge Healing Centre (IRDSA Hall, Craven Gdns, Barkingside, Ilford, Essex) every Monday from 7pm – 9pm (excluding bank holidays). The main objects of Suffolk Healers are to relieve sickness in the county of Suffolk and areas adjoining thereto by the use of Spiritual Healing, and to advance the education of the public in all aspects of spiritual healing. 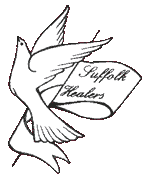 Suffolk Healers runs three centres for healing the public and training healers; provides workshops on 'complementary therapy' and spiritual topics for both members and the public; it has a website (www.suffolkhealers.org.uk) and publishes a news-magzine twice yearly. The SHA, founded in 1959, is a registered charity with its own constitution. It is interdenominational in its work of advancing spiritual healing for the common good. It provides opportunities for the public to receive spiritual healing and counselling by keeping a list of registered, approved healers who offer their services freely to those seeking help. Spiritual healing is accepted as complementary to medical treatment and in no way as an alternative. Lectures, discussion groups, workshops, training courses and seminars are held at different venues in Sussex where appropriate. The Whomerley Spiritualist Church and Centre is independent of any Spiritual orginisation and we follow the Seven Principles of Spiritualism. During the week on a Monday, Thursday and Friday the Centre is open to all and our drop-in times are from 10 am till 3pm. Spiritual Healing is available during these drop in times. Please Look at our events page or in the centre for other things that are going on. Our extensive library on all spiritual,Healing and New Age Subjects is available to our members and there are Readings available by appointment. The Wisdom Circle Foundation has been existence for over 15 years bringing Healing and Workshops to many people who wish to explore their Spirituality. Healing either Spiritually or through Complementary Therapies the Foundation has much to offer. Certification for Indian Head Massage, Hopi Ear Candling, EFT, Spiritual Healing, Meridian Psychotherapy, Reflexology, Reiki and Mediumship just to name but a few are all possible for you to train and become qualified. Yorkshire Healers, founded in 1950, continues to uphold our tradition of training 'healers' to work in centres, churches, and individually, throughout Yorkshire and neighbouring counties. Our aim is always to work for the benefit of those in need.